Leftists are finally coming out of the woodwork to declare their euroscepticism. This in my eyes weakens the case for leaving the EU. When you have the RMT, Owen Jones and Ukip on your side it looks pretty grim. The leftist arguments are starting to merge with those of Ukip - not least in their opposition to TTIP. As we have noted, opposition to the EU over Greece is wholly irrational, especially from the right - for whom it is also wholly inconsistent, but TTIP is something they both agree on. The chief complaint being Investor State Dispute Settlement (ISDS). But you can see why corporates would lobby hard for it. COSCO was heavily invested in the bidding process for Greek shipping ports and then on day one of Syriza's rule, privatisation of ports was taken off the table. Democracy is a volatile thing. Why a nation should not be held accountable for ripping up contracts I don't know. It is said that the nature of ISDS courts and their secret nature would lead to corporate gouging of the taxpayer, which is a real concern - but what is interesting is that the left placed their insistence on it not applying to healthcare when it is a much more serious concern for infrastructure and defence. But such intellectually inconsistency is only to be expected from the left and Ukip. That is not to say it is a not a genuine concern. Just because the left are anti-trade and broadly protectionist does not mean the right should be dogmatically in favour of TTIP. Anti-corporatism, or crony capitalism, is a cornerstone of libertarianism. It is a matter of fact that globalisation is happening, it brings enormous benefits to us and the emerging markets of the world and makes us all wealthier. A trade agreement between the EU and the US is going to happen in one shape or another and most of us will be better off for it. The problem is that it lacks transparency and accountability. It isn't democratic. People we didn't elect will be making agreements that won't be challenged by the European Parliament, not least because MEP's are not intellectually equipped to even approach it. Especially not the fringe lunatics like Ukip. It's bad for democracy here at home too. In effect we're seeing the death of domestic politics as it has effectively outsourced most of the politics of substance. It's why we have government ministers debating whether or not teachers should have the powers to confiscate unhealthy snacks from children's lunchboxes. It's displacement activity. These agreements are happening almost completely without national scrutiny and no right of independent veto. As much as this can mean more regulation (which is not always a bad thing) it mainly means regulatory convergence, which often means compromise - which too often results in a lowering of standards or a reluctance to regulate at all in the knowledge an agreement will probably fail. What we need is our own voice at the top table table to ensure that we get the very best from such global agreements and that we can veto deals that harm our own standards. More than this, I want to see parliament re-energised and focussed on the stuff of consequence. More than this, while we expect TTIP will eventually get where it's going, a lot will have been removed from it. It will not resemble the original proposal in scope and depth. And that's actually a pity. The problem with the EU is it's insistence on bloc trade deals applying to almost everything whereas Mexico has seen much faster growth in the automotive sector by a process of unbundling - ie industry and sector specific trade agreements which happen bilaterally and with fewer compromises. That is the future of global trade. Opponents of TTIP oppose it from an anti-globalisation perspective - fearing a gradual global homogenisation and an erosion of democracy. The former complaint is pointless. Technology and progress demands globalisation. It is happening and it is a force of nature equal to gravity. So the question for my generation and the next is how we harness that force without sacrificing democracy. There does need to be an ISDS mechanism. There is no good reason why any sector should be exempt from it either. Nor is it unreasonable for agreements to have conditions that demand structural and economic reforms as we have seen in Greece. But the EU is not the vehicle best equipped to manage this process. It needs to be more consultative and cannot be as the EU is where entire nations are summarily overruled - particularly in our case where we have nations that don't even have a car industry blocking trade deals that we would benefit from enormously. The fact is that unbundled trade agreements are much faster to achieve, and more likely to succeed. As it stands TTIP has all but stalled, taking us back to 1992. Such agreements can take decades whereas a simple agreement on global standards for painkillers or wheelnuts is far more achievable - and it means areas where we have particular standards and concerns cannot be overlooked for the sake of expediency. The world is developing in a different way to how the architects of the EU envisaged. Rather than large blocs forming sweeping agreements we're looking at inter-governmentalism and sector specific global trade associations. The model is incremental and tailored according to the development status of the participants. This is alien to the EU. This is why there is an apparent intellectual inconsistency on this blog. I have welcomed Greek port privatisation on the behest of the EU but at the same time oppose mandatory land reforms and wholesale privatisation in Ukraine. Greece is developed enough and has had single market access long enough to (notionally) be able to carry off such reforms. It just doesn't want to despite having agreed to it. Ukraine and Poland however have some considerable distance to travel become they are economically and culturally able to fully converge with the mainstream single market. A one size fits all approach, imposed all at once is simply not a good idea. Not in the region and not globally. The removal of border tariffs and complaining about African protectionism may be free trade in principle, but it goes against the principles of international development. In order for there to be free trade there needs to be an equilibrium between trading systems - trading on like for like terms. Dismantling protectionist development mechanisms to pursue a dogmatic free trade agenda has been a disaster for Kenya, is damaging to Poland and may be catastrophic for Ukraine. Outside the EU, we would have a good deal more power to put the breaks on the EU by vetoing proposals at the top table to prevent the free trade wrecking ball undoing efforts to nurture open up new markets. It has been proposed this week that Britain should rejoin Efta, which is indeed part of the interim solution in that Britain would be a leading voice in Efta and a necessary counterweight to the EU at the global level. That is presently more influence than we have a subdued EU member. 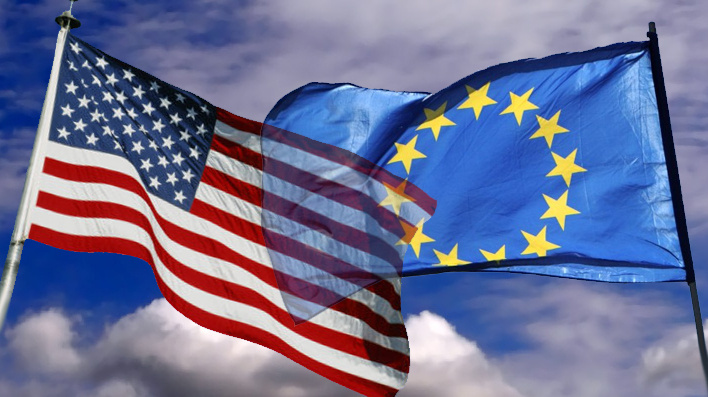 What we can then do is overtake the EU in securing unbundled agreements with the USA (and beyond) and achieve more than we could waiting decades for whatever compromise the EU can cook up. TTIP represents the thinking of the last century in a world that is so much more dynamic. We are and always have been a global leader in setting standards and anything that reduces those standards is an unwelcome development, and anything that subordinates our parliament to the level of a local council is insufficient. Our own MPs need to be fully engaged in matters of trade and development but instead, because it's an exclusive competence of the EU, it's something we barely even discuss anymore. It's why the level of debate about trade in the UK is so lamentably shallow. We can't stop globalisation, we can't have global trade without some kind of dispute settlement mechanism and we can't always expect there won't be losers as well as winners in any final agreements - but a system that progresses without consultation or consent is one that cannot survive. The future is a world of nations speaking as equals with fully engaged legislatures, not as subordinates of unaccountable blocs who outsource their lawmaking. The case must be made for an assertive Britain leading the way for globalisation and making it work while keeping our democracy. The shallow and timid worldview of Ukip is not the solution, nor is the paranoid protectionism of the left, but the imperialism of the EU is obsolete, hubristic, anti-democratic, slow and in some cases dangerous. That is message the leavers need to promote, otherwise we're stuck for another generation in a decaying and stagnant bloc with delusions of statehood. I'm not certain we can survive that. The EU is not a democracy. The true definition of a democracy is that the power resides with the people. Not by any measure can this be said of the EU. For starters, nobody in the Commission was elected, MEP's have no right of proposal, and if all our MEP's voted together, they could still not avoid being steamrollered by the EU. That's not simply outvoted - that's systemically outnumbered. 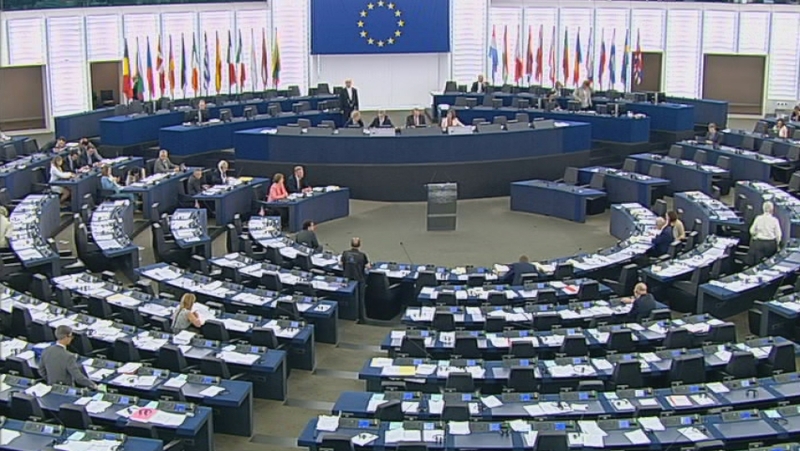 1.2 MEP's per million people is hardly representation either. Some argue that the council of ministers is made up of elected people, but that's neither here nor there. In effect it is a government the people cannot remove. At best we can have a partial electorally mandated cabinet reshuffle. But it's about more than just the structures and the processes. They could tweak it here and there but it would still not change the nature of what the EU is. The EU is an artificial construct in every way. In terms of a European demos (a people), there is no such thing. Hardly anyone can name political grouping in the European parliament and in most instances, unless there's a juicy drama like the Greek crisis, it is often second rate news or treated as foreign news. To all intents and purposes the EU is a government yet it is not reported as such. Pan-European politics doesn't exist. There is no single common European identity, history or language either. The European demos is a construct that simply doesn't exist in the same way it does for a nation like the UK. We have an island story, a shared history, a common language, a national character and a shared identity. That's a demos. Whatever concoction the EU has fabricated is less a demos as a political partition. You can't simply print some bank notes, create a flag and sing an anthem to create a demos. It's been tried before but it doesn't work. There is no EU demos on which to base a political union. It exists only in the imagination of a small minority of EU federalists. Even European elections are couched in terms of domestic parties - and serve mainly as an opinion poll on the national government and the EU as a whole. Hardly surprising then that the public in the main would return UKIP MEPs. The EU lacks legitimacy, the public knows it and the Euro votes are an opportunity to say so. They know that power without a demos is simply tyranny and a demos without power is not democracy. Moreover, the EU has only ever come this far by lying to its peoples about what it really is. Even today the arguments against Brexit revolve around the three million jobs that supposedly depend on the EU. Course, as we know, the EU is not the single market - but rather than telling an outright lie, it perists in massaging public ignorance about the nature EU - which is effectively the same thing. The EU is happy to remain an obscure and fringe concern to national politics. If the public knew what you and I know, the No camp would be looking at an easy win. But it's actually not good enough to complain that the EU is not a democracy. The notion that we should "reclaim parliamentary sovereignty" overlooks that it was parliament who did this to us in the first place. Maastricht ratification on occured on the back of threats, three-line whips and brinkmanship, in a parliament of politicans whose own mandates are far less that 30%. Not forgetting, without separation of powers, our entire parliamentary system is designed to secure the obedience of MPs. Why else would we have so may ministerial posts? 119 since you ask. Even the Lisbon treaty was never put before the people - This the treaty that effectively abolished the entity we voted to join to establish something entirely different. This when 64% of people wanted a referendum on it and well over 50% would have voted to leave altogether. The treaty never went to a referendum and was instead carried by a large parliamentary majority. If that's what representative democracy looks like, I'd hate to see what it looks like when it's unrepresentetive. The purpose of a referendum is to secure legitimacy for decisions where Parliament alone can not secure that legitimacy. It can't in these such instances. With only small mandates, themselves in hock to an SW1 bubble mentality, MPs cannot be trusted with such extraordinary decisions. But here we are, in an undemocratic political union, sold to us on a lie, rammed through with neither consultation or consent - at the fag end of a fading labour government. This is why this blog has always maintained that the UK is not a democracy either. Commentators confuse process and ritual and voting traditions with democracy. By definition democracy means that the people hold power, yet we rarely see any instance where the people wield power. Given how few powers councillors have and how restrained their decisons are by Whitehall and Brussels, it would be fair to say there is no actual democracy anywhere in the system. We have a benign managerialist dictatorship - and our occasional elections are little more than opinion polls. A change of guard seldom produces meaningful change. The charge that "they're all the same" isn't unjustified. They're not all the same, but the way the system is rigged, the outcomes are often the same either way. By every measure that the EU is considered undemocratic (unelected commissioners etc) we must apply that same logic to our own system. After all, our own system resulted in a Conservative win primarily because of Ed Miliband's lack of personal appeal. Like it or not, parties are elected on the basis of their leader. But who actually voted for their own constituency MP? And who actually voted for the Prime Minister? When it comes to more local concerns, we've been front and centre in the fight against wind turbines. We never wanted them, but were forced to have them anyway. It took ten years for the government to "allow" local councils final authority over them. But the fact such powers are gifted from the centre is yet more proof that the power does not reside with the people, thus by definition we are not a democracy. Similarly, with "DevoManc", as I understand it, Manchester is about to get a mayor it does not want to preside of a region that doesn't technically exist and nobody asked for. The accepted definition of democracy is that we have a vote once in a while, and somebody who is returned on less than a quarter of the vote is free to make decisions for us. One man or woman supposedly represents the hopes, needs and aspirations of seventy thousand of us. The Commons model is not all that far removed than when it was a talking shop for rich barons from the regions to discuss their own narrow concerns. That's ultimately why we argue that proportional representation won't make a difference. Representative democracy just isn't democracy at all. We believe that Brexit, while inherently desirable does not "restore democracy". We cannot restore that which we have never had. Thus Brexit is merely the first stepping stone to democracy. Being ruled from London is little different to being "ruled" by Brussels. In ether case we are still ruled and both are remote from the needs of the people they supposedly serve. Arguably London is further detached from us since SW1 culture is barely aware of anything outside its own self-referential claque. They genuinely see themselves as an elite. It seems our first concern is to educate the public in what democracy is and what it looks like. If we can do this then they will conclude for themselves that neither Westminster or the EU is democratic and start demanding real change. Leaving the EU is only the beginning. If you look at the latest package of DfID measures aimed at mitigating the migration crisis in Africa, we see a splurge in humanitarian measures of the type you're all fairly familiar with. You will see posturing politicians on Twitter announcing why this makes them proud to be British. It suits their vanity. Sadly they never stop to ask what happens when the money runs out. When you're adopting a sticking plaster strategy no money will ever be enough. You would think that a department for international development would know this. But then it isn't just DfID who have a wrong-headed approach to aid and development. On the one hand we have the Ukip's of this world demanding a massive reduction in foreign aid and on the other eurosceptics who assume we can quit the EU and simply trade with the Commonwealth through free trade agreements. If only it were that simple. Border tariffs are no longer the central obstacles to global trade. Global trade is more about the removal of technical barriers to trade, and negotiations are centred around regulatory convergence. Differing regulatory regimes create trade chaos, adding multiple layers of bureaucracy to the process. It is often said that less regulation would be good for business whereas what we need is more and better regulation shared by more partner nations. At the very least this eliminates the need for port inspections which leave trade open for theft, fraud and delays incurring demurrage and detention fees (over $70m annually in Ghana). And of course if you have delays in the ports, you have long tailbacks, wage costs and warehousing capacity problems which halt production. In turn that results in the loss of contracts or damages a manufacturers credit facilities leading to bankruptcy and foreclosure. This results in a high turnover of companies popping up to service only one contact at a time with little in the way of business longevity, leading more and more untraceable fly-by-night companies exploiting the chaos, often introducing components into the supply chain which fail to meet international standards. The natural response to this is yet more inspections and delays. To take one Commonwealth nation, Nigeria, it is said that the maritime industry alone could sustain the economy but not without massive modernisation. The road leading to the Lagos port, which handles nearly everything that Africa's biggest economy imports, is one of the most congested in a megacity whose traffic jams are legendary. Wide enough to accommodate only two lanes on either side, along it move the goods that Africa's top crude producer uses its huge oil receipts to buy - everything from designer wear to dried fish, champagne and shampoo. In the case of perishable or degradable goods from woodchip, coal through to foodstuffs it can result in a loss of of value or abandoned consignments. And it's not just the roads that cause delays. Importers say that rules are not always followed, and officials can still hold back shipments while they await bribes. They've all got a scam going, from the man that wheels your trolley out to the senior customs officers. 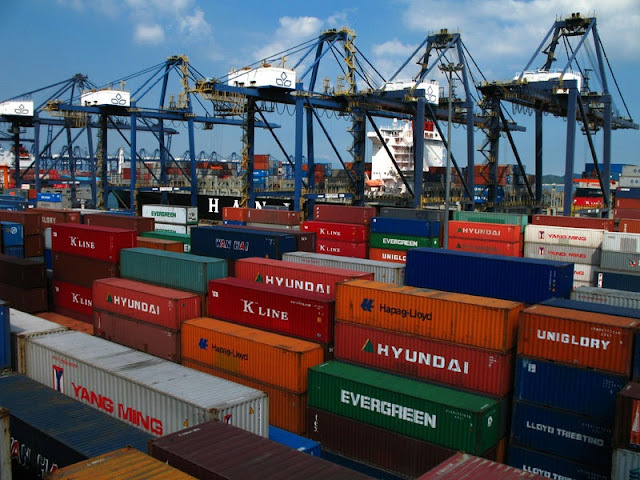 Nigerian authorities "inspect" 70 percent of cargo, compared with around 5 percent in the European Union. Of course none of this actually matters if goods never reach their destination. Piracy is still a huge problem - and not just for Africa. Piracy has overtaken natural disasters as the leading cause for insurance claims in ASEAN states according to those in the marine insurance industry. While most claims are genuine there has been a disturbing rise in the number of ‘insider jobs’. Insiders may be members of the crew or even shipping companies themselves. There is also the issue of antiquated dock equipment. For example, wood pellets exhibit two undesirable handling attributes. Due to multiple handling some pellets degrade back to dust which can block the cooling system heat exchangers resulting in engine overheating. The dust is also highly flammable and must be prevented from settling in the engine compartment. The implications of the loader overheating or catching fire extends far beyond the cost of damage to the machines. Efficient unloading of wood pellets is crucial to maintaining a port’s schedule. Any delay means that a ship will miss tidal deadlines and incur additional high demurrage costs. An overheated conventional loading shovel takes 45 minutes to lift out of the hold in order to clean the heat exchangers and remove dust from the engine bay, then a further 45 minutes to put it back in. This has a significant impact on the productivity of the trimming operation so having the right wheeled loader is critical. Then we get to regulations. Here is an illustration. Back in May, Chinese customs stalled Australian and South African coal deliveries that exceeded fluorine limits under the country's new quality regulations. Australian 5,500 kcal/kg thermal coal was sold to a Chinese cement producer and is understood to have been rejected by the local inspection and quarantine bureau. The cargo was later redirected to a buyer in Taiwan, and the South African 4,800 kcal/kg coal was sold to a Chinese trader but underwent a third round of inspections after failing the first two checks. China's main economic planning agency the NDRC mandated that coal imports must meet quality standards for five trace substances - with mercury content of less than 0.6 microgram/gram (µg/g), arsenic below 80µg/g, phosphorous below 0.15pc, chlorine below 0.3pc and fluorine below 200µg/g. These are in addition to restrictions on ash and sulphur content of a maximum of 40pc and 3pc, respectively. The quality regulations took effect on 1 January and have raised waiting times, which have in turn increased demurrage costs and the risk of rejection at ports. The rejections trigger a fresh wave of concerns in the Chinese import market. Buyers will take responsibility for the coal, because they are likely to have bought the cargoes on a Free On Board basis. While they have sought to minimise risks by requiring suppliers to offer guarantees on the five trace elements on a loading or discharge port basis, China relies on its national standards for the quality checks rather than the widely used international ISO and ASTM standards. Many of the major testing agencies in Australia and South Africa do not offer checks based on the Chinese standards, although tests for China's standards are available in Indonesia with costs of 20-25¢/t already factored into prices. In addition, the longer shipping journey to China from Australia and South Africa will probably result in some coal quality degradation. Here there is a clear need for a memorandum of understanding between these trading nations, agreeing to one standard and one inspection regime to facilitate trade. That in itself is no small undertaking. The introduction of such an agreement in a package deal (like TTIP) means that if one article fails to reach agreement, the whole package of measures are dropped. When a market as large as China is starting to make regulatory demand of its own for imports, there has never been a time where international agreements were more necessary. But they are not happening between the EU and China but between regulatory commissions and authorities at the level above. Just securing an agreement with Japan's automotive industry to join United Nations Economic Commission for Europe (UNECE) would eliminate much of the regulatory divergence in the automotive industry. A comprehensive "trade deal" between the EU and Japan then becomes largely redundant. If we can work toward a similar agreement in electronics then again the EU is totally irrelevant. Similarly the The International Air Transport Association (IATA) and (UNECE) has signed a Memorandum of Understanding (MoU) to strengthen their support to developing countries seeking to implement the World Trade Organisation (WTO) Trade Facilitation Agreement. All the bluster about the EU negotiating with other blocs is a mentality belonging to the last century, with global trade bodies now securing their own interoperability frameworks, leaving the EU far behind. What this points to is the need for independent nations to be in at the very top tables arguing the case for the industries they have rather than taking a back seat and waiting to see what what compriomises the EU can come up with, in a bloc where nations will vote through measures affecting industries not even present in their own states. Were we to leave the EU, we would be in the almost unique position of having first rate infrastructure, favourable trading conditions with the EU but also the freedom to negotiate individual deals that make our own industries more competitive. Our car industry may depend on it. The future points to a model of aid for trade by which we invest not in schools and drinking wells in the middle of the desert, but in ports, roads and security. If we are to have a statutory minimum spend on aid then some of our defence spending in policing shipping lanes could very well count toward that to ensure goods get to market. In pooling our sovereignty and delegating trade to the EU we miss opportunities and fail to get the agreements we need. Superficially, favourable tax regimes and low tariffs look attractive but the reality of trade tells another story. Multinationals can easily decamped from advanced nations in search of lower overheads and favourable tax regimes only to find the level of under-development and corruption is an overhead in itself. As we can see, merely eliminating trade tariffs (which is not always desirable) is not enough. There is a long road to travel before we get anything like functioning global trade. In some cases, import bans are essential to helping grow key industries. Ghana has banned imports of Tilapia fish, estimating the ban will create about 50,000 jobs in the aquaculture sector of the economy, where young unemployed persons are being targeted. There's an immigration target met right there. Such industries are needed to stimulate a tax base so that African states are more dependent on the revenue from their peoples than oil giants. This is one example where EU "free trade" conflicts with other desirable global outcomes. A humanitarian aid effort does nothing to mitigate the need for migration and slowing the flow is not going to come cheaply. The EU's answer is to put up fences and mount aid operations. It doesn't work. What we also don't need is the EU ploughing into Africa pulling down tariff barriers (as it has in Kenya) - and rather than package trade deals between blocs such as the EU TTIP, we're better off going for individual agreements targeted as specific industries, which are not only more effective but can be agreed upon in much shorter time frames resulting in more rapid dividends. What is clear on both sides of the Brexit debate is that on matters of trade an international development we are not even past first base in the level of understanding. It's pitiful. Understanding all of this is essential to tackling the multifarious problems we face, not least immigration and asylum, and yet they're stuck in shallow debates about TTIP and trading blocs, blissfully unaware of how irrelevant the EU is to the process. In reality, UNECE is the single market and the gateway to globalisation, yet it is seldom mentioned or monitored. The Brexit debate is mired by a little Europe mentality on both sides, to which the concepts we are talking about hereabove are entirely alien to them. What is at stake here is the opportunity to add trillions to global growth, while solving many of Africas most acute problems and many of our own in the process. Meanwhile from the EU we get compromises, half measures and yet more vanity aid, while failing to address the very real and pressing issues - many of which are caused by the fundamental flaws in the EU's own DNA, along with its trade psychology that belongs to the middle of the last century. Brexit offers us a real opportunity to to step into the modern world of globalised trading and to drag Europe kicking and screaming along with it. The federalist dream is dead. The global dream is only just beginning and we're not even in the game. We've heard a lot from various vested interests about the implications of Brexit on the British auto industry. Firstly it's important to understand the nature of the car industry before wading in. Like most expensive consumer items, the actual profit comes not from the product itself but the finance deals. In essence, a car is credit bait. There is little profit in selling a car for the sticker price. Average monthly dealership profits can be as little as £15k and often make losses. It is therefore incumbent upon car manufacturers to increase profitability by optimising supply chains and cutting down labour costs. What we're hearing from the political class, from their position of ignorance, is that Brexit could result in tariffs of up to 10% on the finished product - which could result in manufacturers quitting the UK. Given the size of the market, it seems implausible that the EU would be so keen to shoot itself in the foot even if the WTO allowed it (which it doesn't), but let's suppose they're right and they add 10% to our exports. We can adjust to that. As you all probably know by now, trade negotiations are an exclusive competence of the EU. The EU negotiates our trade deals for us. The EU has agreements with dozens of nations, but still applies tariffs to imports from non-EU countries. Because the EU likes old fashioned trade packages like TTIP, encompassing dozens of industries and products, the results are often less favourable than if individual agreements on certain products and markets were unbundled. That means if the EU gets a bum deal, we get a bum deal. That may be no big deal to those member states who don't import certain components, but that's a sticking point for us since we have a thriving automotive industry. Since we can't veto a bad trade deal, politically or practically we put up with what the EU can get for us. Europhiles insist that we don't have the clout without the EU but in reality sovereignty pooling leads to collective impotence. We have seen in recent years a departure of the US automotive industry to Mexico which trumps the US on free trade. It has agreements with 45 countries, meaning low tariffs for exporting those cars globally and favourable deals on the import of components, for which both the US and the EU have protectionist barriers on. We could do precisely the same outside the EU. It would at least mitigate the 10% tariff and best case scenario increase the profitability of the industry attracting yet more assembly lines. 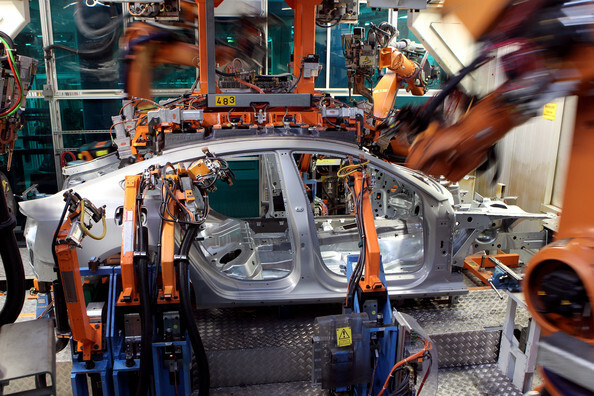 Far from losing our automotive industry if we leave the EU, given the EU's fixation with packaged trade deals with other trading blocs, we might well lose our assembly lines if we DON'T quit the EU. Already we have seen the industry decamp to Eastern Europe to cut down on wage costs, but these savings won't last long as wage demands will eventually catch up to the rest of the EU. Given the Euro's woes the next move is for the entire industry to quit not just the UK but the EU entirely. What we need is the flexibility and sovereignty to agree our own specific unbundled deals tailored for the industries we have. Not least because such agreements can be reached inside a couple of years, whereas deep and comprehensive trade agreements and association agreements can take up to sixteen years to negotiate. In an increasingly globalised world, moving ever faster, the quagmire of the EU is unsuited to today's markets. It's a last century system for an internet connected world. It harms our competitiveness, reduces our influence and inhibits industry growth. The scaremongering about Brexit is not only unjustified but also primarily influenced by people who don't actually know very much about supply chains or global trade. They are locked into a belief system that says only vast trading blocs can deliver prosperity. Mexico is busy proving them wrong. And so can we.